Physiotherapy New Zealand is the national membership organisation for physiotherapists and physiotherapy students. They provide over 3,000 members with advocacy, education, information and services. They have a network of 12 special interest groups and 11 regional branches that provide specialised information and professional development to members. For more information on PNZ membership and benefits head to their website. Physiotherapy New Zealand recognises 13 Special Interest Groups which give members the opportunity to focus on their specific area of interest and gain additional information, education and networking. Each of the special interest groups require for members to have PNZ membership. The Physiotherapy Acupuncture Association of New Zealand (PAANZ) is a Special Interest Group of Physiotherapy New Zealand. It is for physiotherapists with qualifications in acupuncture practice to participate in ongoing learning, peer support and development of the practice of acupuncture. The Cardiothoracic Special Interest Group offers it’s members a professional clinical support network i.e. peer support or information on a specific clinical issue. They have a database of members who are willing to help/share ideas within their specific specialist fields. Click here for more information. The Pelvic, Women’s and Men’s Health special interest group (PWMH SIG) exists with the aim to continue to develop and maintain an advanced level of knowledge and clinical skills in the assessment and treatment of women’s and men’s health clients within the scope of physiotherapy practice. They provide professional development, support, and networking opportunities for physiotherapists with a special interest in this area. Membership brings the benefit of a resource base, a forum for information sharing and the ability to exchange ideas within the group. If you take on a leadership role within the public health system working for a District Health Board (DHB) then the District Health Board Leaders group may be of benefit. It is most suited to Physiotherapy Advisors, Leaders and Managers from District Health Board (DHB) physiotherapy services in New Zealand. Hand Therapy is the art and science of rehabilitation of the upper extremity. The association focuses on advancing hand therapy as a specialty through promotion of expertise, encouraging the exchange of techniques and ideas between disciplines working in the field. They organise educational seminars and meetings and support undergraduate and postgraduate academic programmes in Hand Therapy. For physiotherapists working in the field or with a special interest in neurology, The Neurology Special Interest Group is a good support. The group is dynamic and pro-active when it comes to all aspects of physiotherapy related to the needs of neurologically impaired adults, their relatives and carers. Occupational health is a fast growing area of practice and there will be few clinics who aren’t dealing with patients returning to work post injury. The ACC has contracts dedicated to RTW and physiotherapists working within these contracts will benefit from being a member of this special interest group. Occupational Health Physiotherapy involves providing assessment and rehabilitation to assist the injured worker back to their job or to enable them to remain at work. For support in your practice in the care of the older adult join the Older Adult Special Interest Group. Focus on support of those helping people as they age to maintain movemetn and independence. For physioterhapists working with our young people the special interest group offers acces to the Pediatric physical therapy journal, their facebook page to connect with other therapists around New Zealand to share information, post questions and discuss professional and clinical issues. Membership also provides the opportunity for assistance with the funding for study/ courses/ conferences. The New Zealand Manipulative Physiotherapists Association (NZMPA) is a special interest group of Physiotherapy New Zealand. The NZMPA’s main role is to provide ongoing education in musculoskeletal manual/manipulative physiotherapy. The NZMPA offers a series of graduate and refresher courses throughout New Zealand. The courses combine manual therapy techniques and evidence based practice. Techniques are taught and drawn from the world’s leading manipulative specialists. So if you are looking to advance your knowledge and skill in the examination and assessment of musculoskeletal problems, and the application of manual mobilisation and manipulative techniques the NZMPA is s good place to start. Sports Physiotherapy New Zealand is a Special Interest Group of Physiotherapy New Zealand. 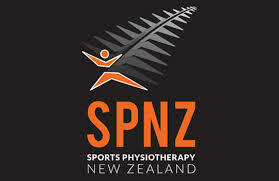 If you have an interest in sports physiotherapy then join the SPNZ. It’s focused on improving the provision of high quality sports physiotherapy services to participants of all ages and abilities involved in sport, exercise and recreation. Through SPNZ physiotherapists can participate in education programmes which address advanced sports physiotherapy competencies and standards of practice. SPNZ also promotes excellence in education, research, clinical practice and specialisation in the area of orthopaedic and sports physiotherapy. The physiotherapy mental health specialist group is beneficial not only to those physio working in primary or secondary Mental Health care but those wanting to increase their knowledge about mental health and how this works within their normal scope of practice.